I love burlap! It looks fantastic with wooly yarn. 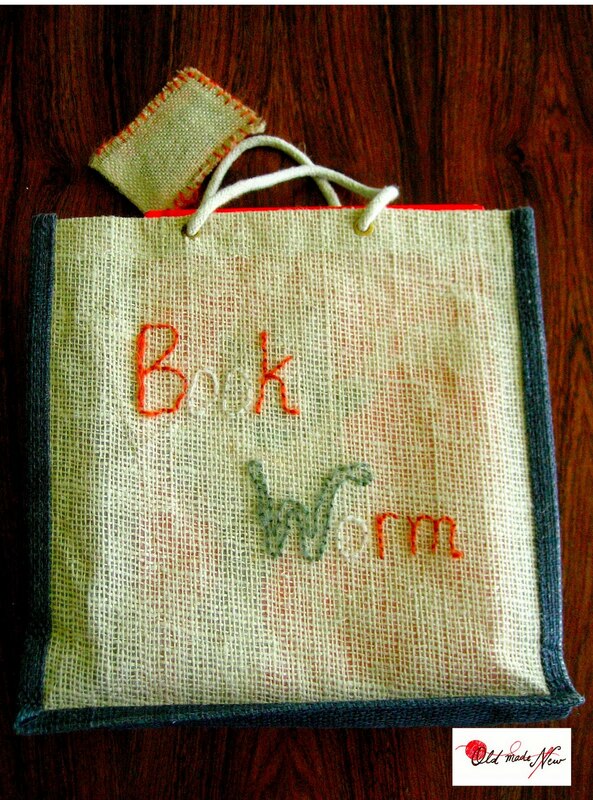 I acquired a sturdy burlap gift bag a while ago, and I knew that it would soon have wooly yarn embroidered on it. My three year-old daughter is quite the bookworm, and she often comes home from the library with well over a dozen books. I knew she would love to have a special bag to tote her literary treasures. I hoped that the end product would work as a way to store her big girl books in plain sight but away from the destructive clutches of her 17 month-old brother and sister. 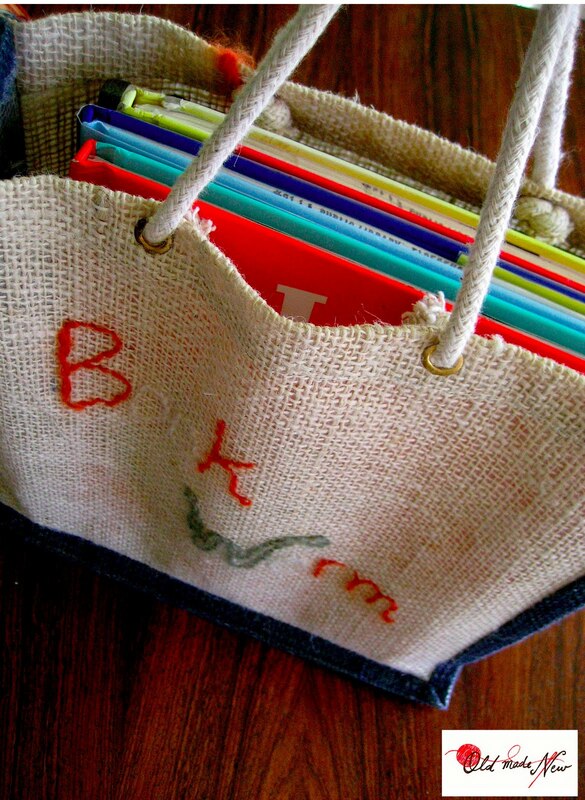 This bag is the perfect size to hold the picture books that she loves. Its handles are attached with hard-working grommets, and the burlap has a sturdy backing on it to carry the weight of the books. I've had a stash of this Suss Design mohair around for years, and I've used it in so many projects (at least one burlap project prior to this one). I'll be sad when it's gone. 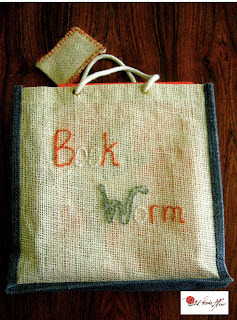 I used some scrap burlap to make a pocket for her library card that I finished with a blanket stitch. I have no problem with her leaving this bag laying around the house. such a fantastic idea! i love the look of burlap and it's sturdy factor. 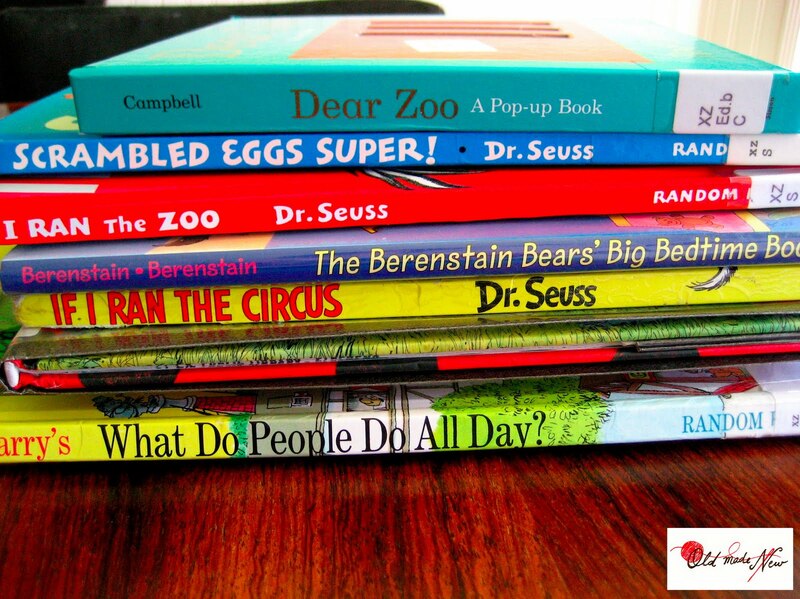 loving your blog, thanks for sharing your creative ideas.